From the site: "TO ENTER: Email your name and address to onlinemarketing@randomhouse.com. A valid mailing address is required. One entry per person. Open to Canadian residents only, excluding Quebec." Apparently this is being run by Random House Canada. 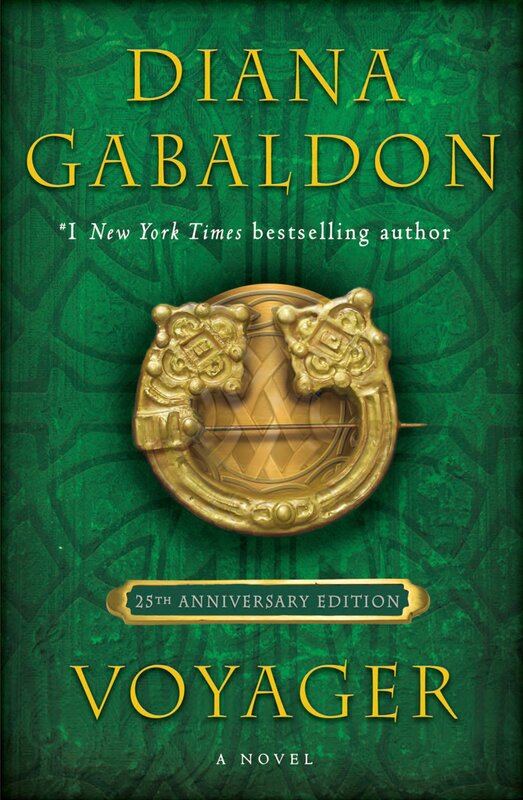 This week marks the 4th anniversary of my discovery of the OUTLANDER books. People talk about how these books have changed their lives. Well, in my case, it really is true! If you're interested, here is the story of how I found OUTLANDER. Unlike many of you, I didn't know anyone else who had read the books. 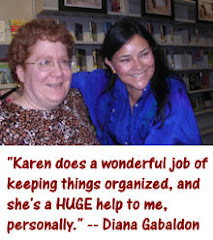 I had never heard of Diana Gabaldon. And I really did find OUTLANDER completely by accident, browsing in a Barnes & Noble bookstore in 2006. I ripped through the series much too fast the first few times, reading all six books (ECHO hadn't yet been published) in only five weeks, then immediately starting over with OUTLANDER. I was already thoroughly addicted by the spring of 2007, when I discovered the Compuserve Books and Writers Community. I still remember very well what it felt like the first time I got up the nerve to ask Diana a question on Compuserve. "Nervewracking" does not begin to describe it! <g> And how thrilled I was to get an answer back from her! That was in March, 2007. Sometimes that seems like a lifetime ago, but I haven't forgotten the feeling. Then, in September, 2008, I was stunned and delighted to be named Section Leader of Diana's section of the Compuserve forum. I'd never been in a leadership role online before, and really had no idea what to expect. It's been more work than I bargained for in the beginning, but the results have been very, very gratifying -- to put it mildly! You can imagine how delighted I was when Diana signed my copy of the ECHO paperback, "To Karen, Czarina of Traffic and a great friend!" Great friend?! Wow. I'll treasure that for a long time to come. And this blog, too, has succeeded far beyond my initial expectations. Thanks to all of you for your continued support! "A Leaf on the Wind of All Hallows" was a wonderful early birthday present for me this year. <g> I'm looking forward to much more OUTLANDER-related discussion and speculation -- not to mention, many more of those entertaining Monday-night OUTLANDER chats with the Outlander Purgatory gang! -- in the year to come. Wishing all of you in the U.S. a wonderful Thanksgiving holiday! We have been having a very interesting, in-depth discussion on Compuserve about Diana Gabaldon's latest story, "A Leaf on the Wind of All Hallows", and I thought I'd share a few of the more interesting speculations, as well as point out a few hints that Diana has dropped in the course of that discussion. Don't read below unless you have finished "A Leaf on the Wind of All Hallows"! Major spoilers below! 1) What year is it, when Jerry arrives in the past? Well, it's a) for people who notice that it's Samhain when Jerry goes back--and Samhain again when he goes _back_ , and b) it's a Clue as to when he traveled to--i.e., it has to be sometime before the calender changed, i.e., prior to 1752. 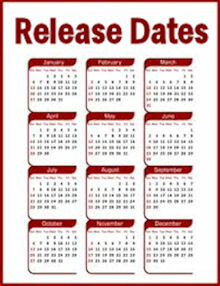 By the way, if you want to find out more about the calendar change Diana refers to in that Author's Note, look here. It's a real historical event. So, what does this mean for the characters in the story? We know from Roger's experience in DRUMS (when the portal spat him out on his first attempt) that a time-traveler can't cross his own life-line. William Buccleigh MacKenzie was born in December 1743 or January 1744 -- the dates are a little uncertain -- and therefore he was conceived sometime in the spring of 1743. So they had to travel back to a time prior to that, before "Buck" existed. My theory is that October 1739 would make a certain amount of sense, being 202 years prior to the time Jerry left, in October 1941. But I could certainly be wrong about this! They might have ended up even earlier than that. The only thing we know for certain is that they traveled to a year before 1752. 2) Why did Roger and Buck end up in the same time as Jerry, when they traveled from 1980 and he traveled from 1941? I think this is a really intriguing thought, that they might have been pulled toward Jerry accidentally, so to speak. 3) How and why did Roger and Buck end up in Northumbria in the first place? Northumbria is 250 miles or more from Craigh na Dun, and it would take a while to travel that distance on foot or horseback. Is it possible that they entered the "time vortex" at Craigh na Dun, but emerged at the other end in the stone circle in Northumbria? 4) Where did Roger get the gemstone he gives to Jerry? We have no idea. It can't have been a "spare" gemstone that Roger brought with him, though. Diana said, when someone suggested this on Compuserve, "So far, all gemstones that have gone into a vortex have been consumed, regardless of type or size." So it's not possible (apparently) for a traveler to bring extras with him (or her) to be used on the return trip. Therefore, Roger must have found that gemstone after he arrived in the past. I hope we'll find out more about that in Book 8. 5) Where have we heard about Jerry's story before? Or Roger's version of what happened when his mother was killed? FIERY CROSS chapter 98 ("Clever Lad"), starting p. 859 in the hardcover - this is the scene where Roger tells Bree the story of what happened when his mother was killed. ECHO chapter 21 ("The Minister's Cat"), starting on p. 227 - this is Claire's story about what happened to Jerry. Feel free to come and join us in the discussion about "Leaf" on Compuserve. We're always happy to welcome new people there, and Diana likes to hear from her readers. Don't be intimidated by the size of the thread (discussion); if you don't have time to read the whole thing from the beginning, just jump in and comment whenever you want. <g> Hope to see some of you there! 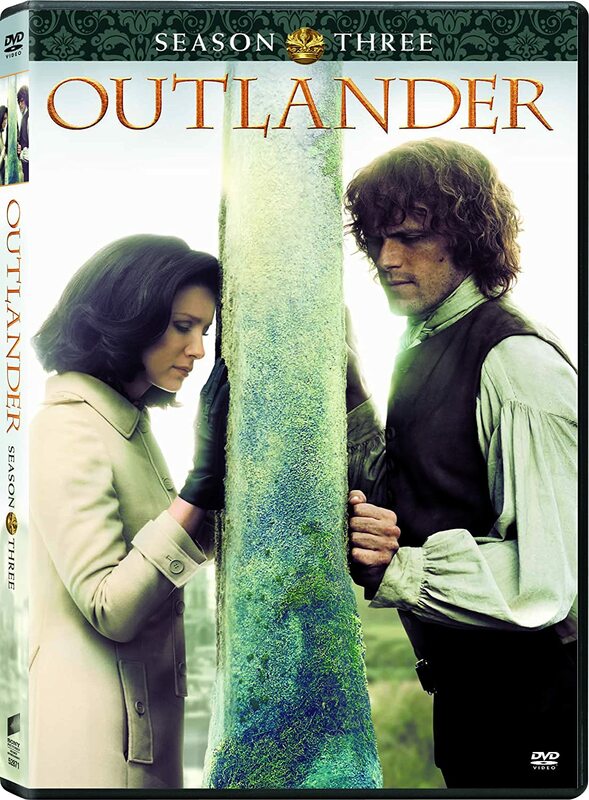 Check out the very interesting and detailed OUTLANDER Reader's Guide that Cathy MacGregor put together. Even if you don't belong to a book club, it's worth reading. Diana says this guide will be posted on her new-and-improved web site eventually, but in the meantime, you can download it from Compuserve here. UPDATE 11/18/2010 - Diana mentioned on Compuserve last night that Cathy is working on similar Reader's Guides for the other books, but she didn't give any estimate for when they might be available. If I find out anything further about this, I'll post it here. 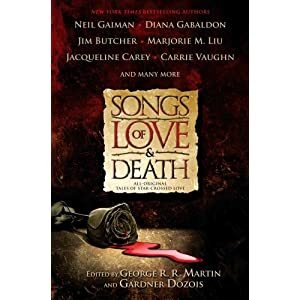 Congratulations to Diana Gabaldon on the publication of her latest story, "A Leaf on the Wind of All Hallows", in the SONGS OF LOVE AND DEATH anthology. This is a wonderful story, and I would highly recommend it to OUTLANDER fans. Feel free to post your comments and reactions to the story here. Major spoilers below! Don't read below unless you've finished the story! -- I loved the scene with Marjorie and her mother and Frank. Heartbreakingly sad. It was great to get a glimpse of wee Roger, too. "He wouldn't throw a fit—he hardly ever did—but he wouldn't give up, either." (p. 450) I love the way Roger's temperament is evident here, even as a toddler. -- It's awfully damn lucky for Jerry that he happened to be carrying a gemstone in his pocket when the plane went down! -- And now I really want to know two things: a) What the heck are they doing in Northumbria, and how did they get there? (Presumably it's a long way on foot or horseback from Craigh na Dun.) b) What year is it when Jerry arrives in the past? I really enjoyed this story, and it definitely raises at least as many questions as it answers. We'll be speculating about what it all means for some time to come, I'm sure. We're just three days away now from the release of Diana Gabaldon's latest story, "A Leaf on the Wind of All Hallows", in the SONGS OF LOVE AND DEATH anthology. I can't wait to hear what the rest of you think about this story! I have put together a FAQ for "Leaf", which you can see by clicking on the tab that says "A Leaf on the Wind of All Hallows" at the top of this page. I hope it's helpful to you. IMPORTANT NOTE: Some people have started to receive their pre-ordered copies of the book already, even though the release date isn't until November 16. If you are one of those people who were lucky enough to get an early copy of the book, I would ask you not to talk about Diana's new story here until Tuesday. Thanks! I just finished reading Jennifer Roberson's novel LADY OF THE GLEN, a historical novel which takes place in late 17th century Scotland, and tells the story of the events leading up to the infamous Glencoe Massacre of 1692, in which the MacDonalds of Glencoe were slaughtered by government troops led by their longtime enemies, the Campbells. This is a richly detailed, thoroughly enjoyable book, with lots of period historical detail (including men in kilts!) and characters who are every bit as flawed and complex as those in Diana Gabaldon's books. Although it follows the structure of a romance novel, the relationship between Catriona ("Cat") Campbell and Alasdair Og ("Dair") MacDonald is not always at the forefront of the story. Roberson gives at least as much attention to the complex inter-clan rivalries, the political machinations behind the scenes, and detailed descriptions of what life was like in the Scottish Highlands in the late 17th century. I liked the character of Cat Campbell a great deal. She's one of those strong female characters of the type that readers of the OUTLANDER books will recognize right away: outspoken and stubborn and unconventional (preferring to dress in men's clothes rather than long skirts, for example), and not willing to be ignored, whether by her father, laird of Glen Lyon, or by her elder brothers. Cat reminds me a great deal of Claire and Brianna, in that she's not willing to be messed with. Dair is a handsome young Highlander, one of the few truly decent and honorable men to be found in the whole book. I liked his relationship with Robbie Stewart of Appin, and with his father, leader of the MacDonalds of Glencoe, a giant of a man known as MacIain. Dair is gentle and kind to Cat from the moment they first meet, which is such a contrast to the way she's treated by her father and brothers that it's no wonder Cat falls for him right away. But her love for him seems at first to be doomed, in a Romeo-and-Juliet sort of way, because she is a Campbell and he is a MacDonald, and their clans have been enemies for generations. I thought the descriptions of cattle-raiding in this book were interesting, showing how the practice was so widespread in the Highlands that it was treated almost like a game, but one with potentially deadly consequences, if you were unlucky enough to be caught at it. The last part of the book, dealing with the massacre at Glencoe and its aftermath, is absolutely riveting. Action-packed, emotionally intense, horrifying, and frightening -- all the more so because it's based on a real historical event. Even by modern standards, the massacre at Glencoe in 1692 was shocking in its brutality, and the author doesn't attempt to sugarcoat any of it. I found myself unable to put the book down for the last 70-80 pages. I would highly recommend LADY OF THE GLEN to OUTLANDER fans, especially if you're looking for more stories set in the Scottish Highlands. The book is a little hard to find (it was published in 1998) but definitely worth looking for, in my opinion. If you've read this book, I would be interested to hear what you thought of it. Finally, on a related note, here's a song about the Glencoe Massacre that you might enjoy. I like the scenery shown in this video. The November poll is about (what else?) your reactions to THE EXILE. I think it's been long enough now since the book was published that most people here have read it. I tried to include a wide variety of options in the poll, but let me know if you have any others that didn't make this list. Feel free to post your comments about THE EXILE here, either pro or con. Diana does not read my blog, as far as I know, and I promise not to pass your comments on to her unless you specifically ask me to do that.